A quick little post to share a card. I made this card and thought it would be a good addition to the Shopping Our Stash Challenge. This weeks theme is Red Alert. Even though I do have some green on the card the red really stands out to me. 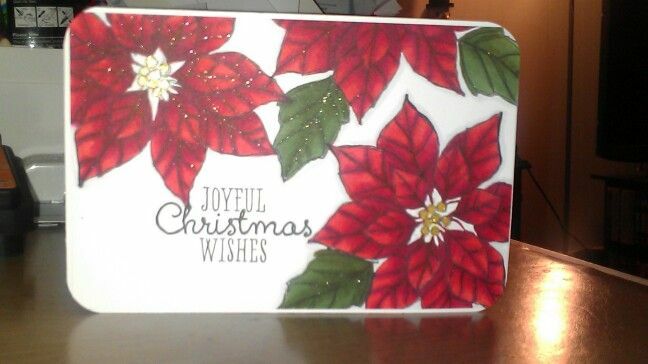 I used the Joyful Christmas set from Stampin' Up and colored it with copics. For a little sparkle I added the lipstick Spica pen to the veins and Gelly Roll gold glitter to the centers. 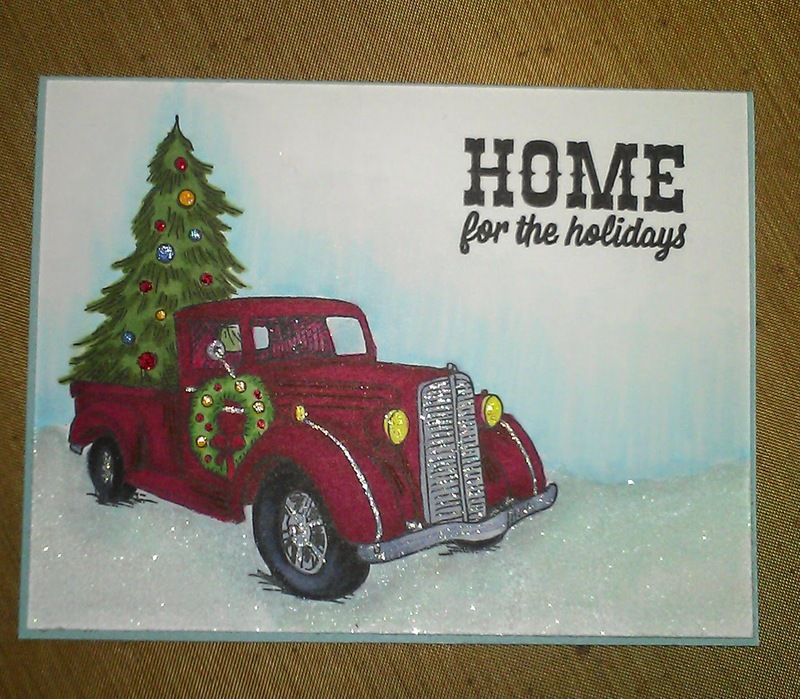 I've been busy working on my Christmas cards, I'm still not done. Hopefully next year I will be more ahead of the game, but that's what I said last year too! ;-) Only time will tell. My cards today were inspired by two different blog challenges and a new Close to My Heart set that I picked up this year. 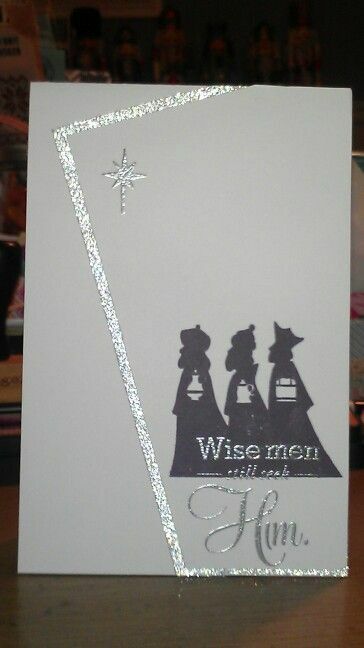 First card is very simple with some silver tape and embossing powder and the image stamped in purple. I will include this in the CASology challenge blog. Here is the second card I made, without the tape layer between the card base and panel. 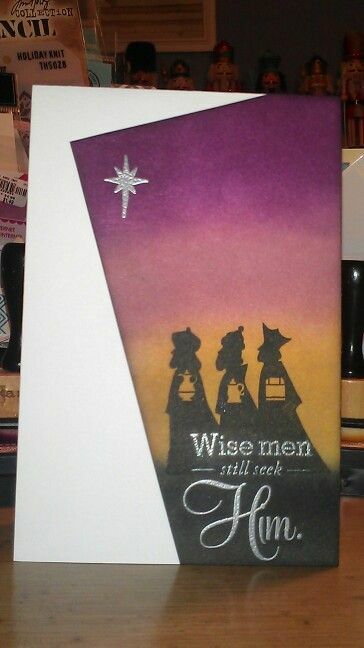 I decided to use some distress inks to make a background for my wise men. Either card would be fairly easy to mass produce. I'm not sure which I like better. 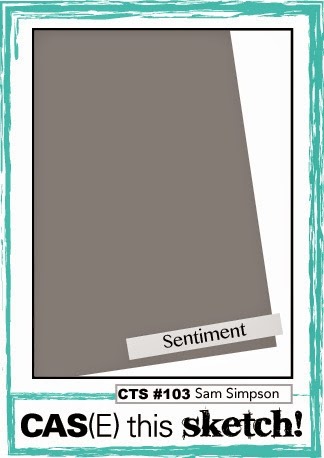 I enjoy the colors on the distress background, but like the simplicity of the first. I stamped the image in Memento Tuxedo black and colored it in using Copics. I made a light horizon line with a pale blue Copic and added some shadow under the truck with light gray Copics. To finish off the scene I added some stickles to the ornaments and a lot of dry distress stickles for the snow. Thanks for stopping by and have a fantastic night! 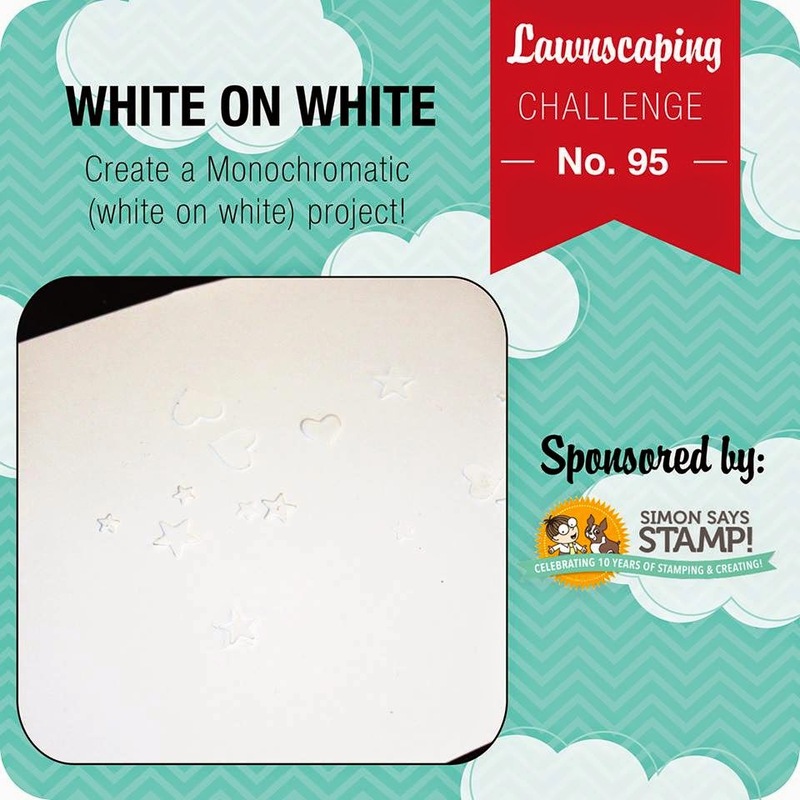 Today's card is for the Lawnscaping challenge and while I'm at it I'll add it to the Simon Says Stamp Wed blog challenge. 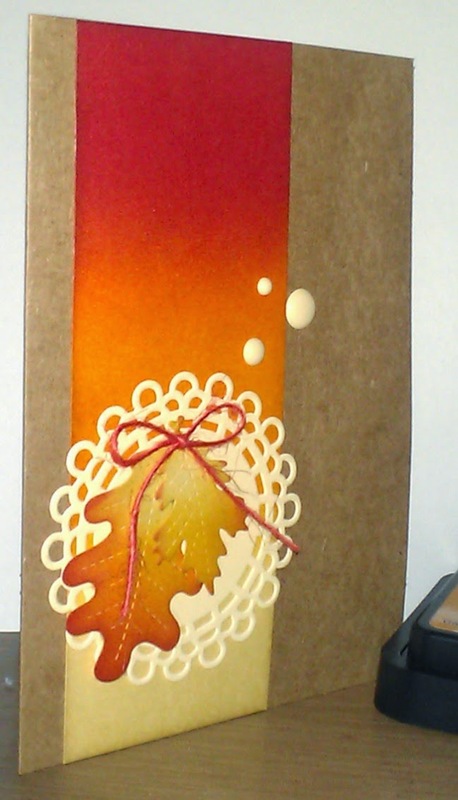 I've been wanting to do a white on white card, but when I would sit to make a card I would always add color! This helped to keep me on track! After I added the gel medium over the stencil I covered it in glitter, then set it aside to dry. 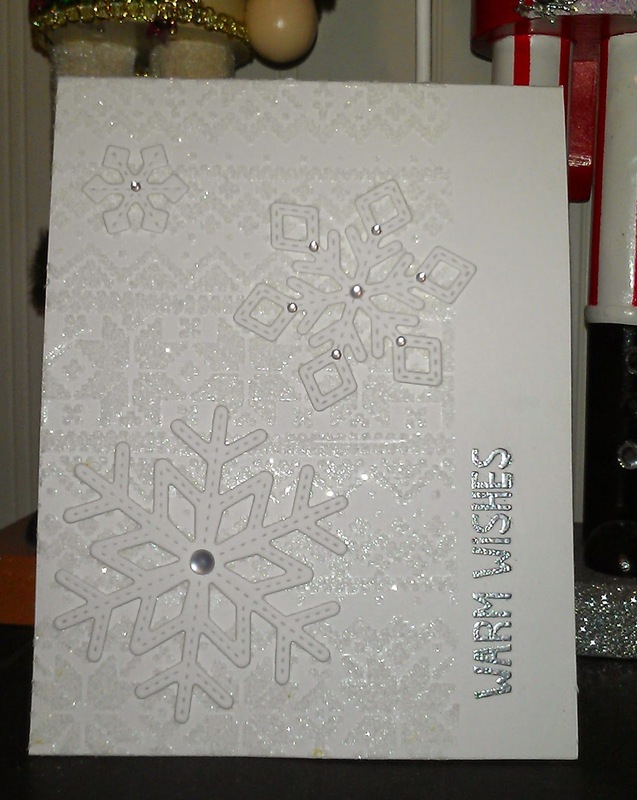 Used glossy accents to attach the snowflakes and gave them a little bling. Good morning everyone, just stopping in this morning with a quick little post to share my card for the Nov CCC over at Society of Stampaholics. I chose to use 3 of the 4 for challenge options.